Does blurred vision and headache ruin your life? These symptoms might help explain why. There are lots of reasons why you might have blurred vision and headache. The more serious ones are: a brain tumor, head injury, stroke, low or high blood pressure. There are also various eye diseases that could cause your vision to become blurry. 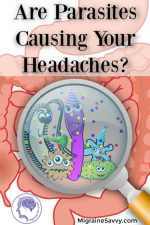 It’s also one of the most common symptoms of headaches and migraines. And these visual disturbances can occur before, during and after the headache or pain phase of an attack. 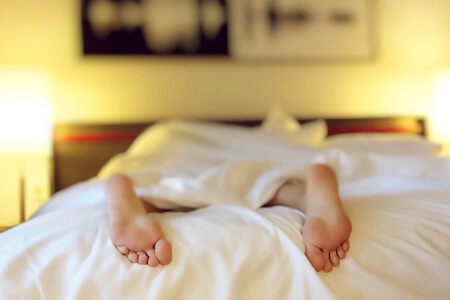 Are your blurred vision and headache disturbances persistent and repetitive? 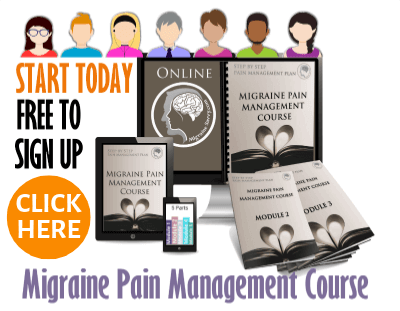 These disturbances are typically episodic and associated with the head pain phase of a migraine attack. However, you might find that the visual sensitivities wreak more havoc than the pain phase. 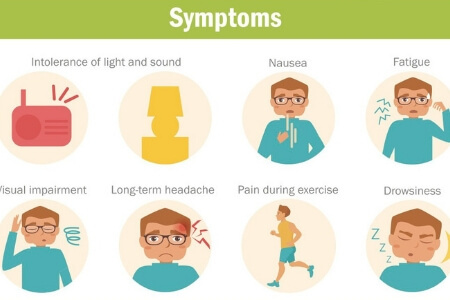 We will look at a couple of these syndromes that are rarer and more challenging, so you can take this information to your doctor and be aware of what to watch for. How is the visual system involved? 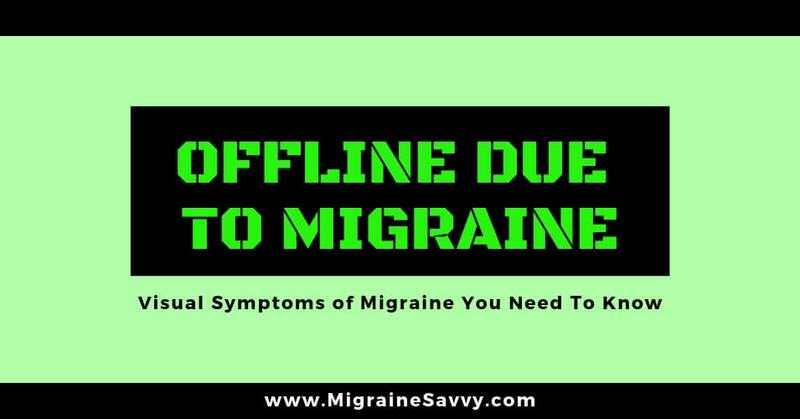 Your body’s visual system is involved in your migraine attacks in different ways. 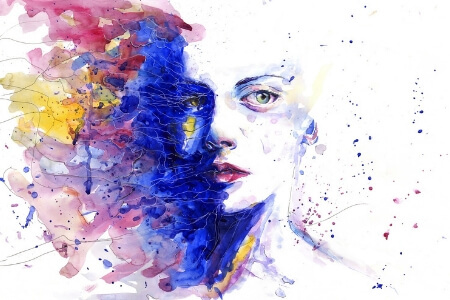 You are probably aware of the visual auras that can come before an attack, but what you might not know yet is that they also consist of categories: positive, negative, and distorted visual symptoms. If you get blurred vision and headache, this could be why. The aura is most commonly known for the distorted visual problems, but this phase can include other sensory disturbances such as nausea or touch sensitivity. 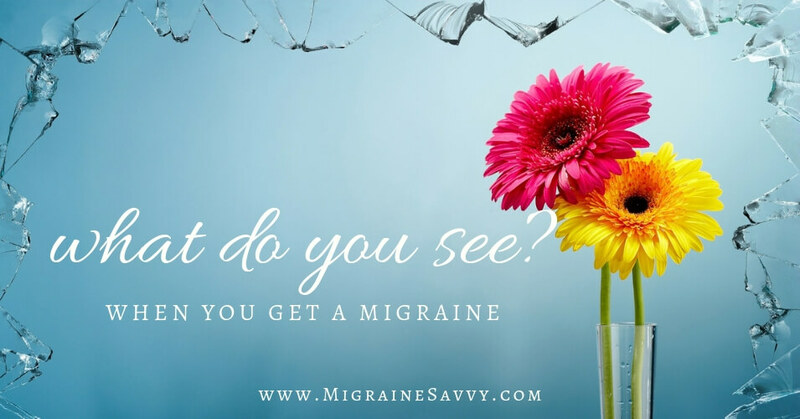 This is a specific type of migraine with aura that has similar symptoms to a classic migraine’s typical aura, but it only affects one eye. Retinal migraine has positive aura symptoms such as: flashing lights, zigzag patterns, etc. 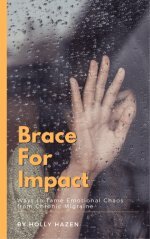 as well as negative symptoms like: partial blindness and or blind spots. It is common for the resulting headache phase of an attack to be concentrated on the same side of the head as the visual disturbance(s). Do you get dizzy before or during an attack? How about after? You might experience the room moving without it actually moving or feel like you are on the ocean. 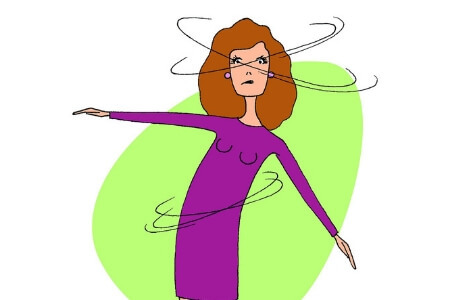 Spinning and losing your balance are typical symptoms of this syndrome. I’ve written more about vestibular migraine here - Vestibular Migraine. From blurred vision and headache to temporary blindness. 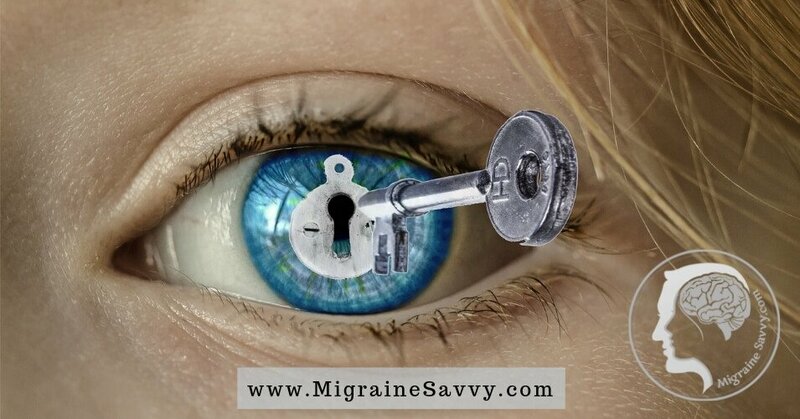 Do you ever lose vision in both eyes during a migraine attack or headache? This can be associated to the aura phase of a migraine, or for some, it can occur with no previous history of aura. There are few studies to date on this syndrome. 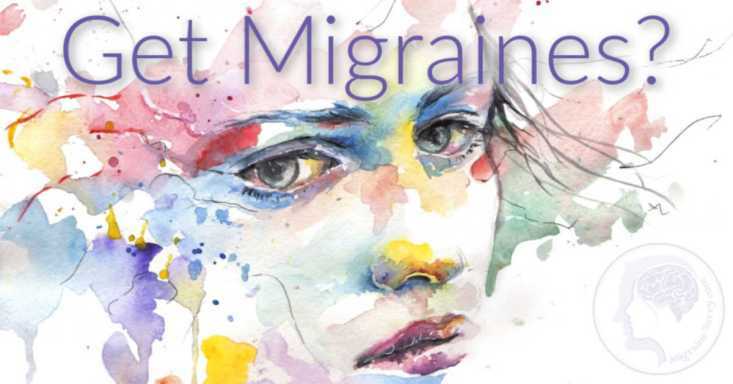 One study of 383 female patients at the "Geisinger Headache Center in Pennsylvania showed that this type of temporary blindness occurred instantaneously during the headache phase of a migraine attack" in 1.6% (6) patients. So, instantly versus slow onset. Does light make you cringe even when you are not experiencing blurred vision and headache? If you get migraines, which you must do or you wouldn’t be here, you may have developed sensitivity to light. This is called photophobia. This can also be one of your triggers. Glare from computer screen, sunlight, any brightness or exposure to certain types of light (e.g. fluorescent) can trigger an attack. Aura and light sensitivity can often get confused. But they are different. One can lead to the pain phase, or not, and one triggers the pain phase. Do you know which is which? It’s hard to tell. Another way to distinguish the difference could be to say that light sensitivity can impact anyone causing blurred vision and headache, even if you get migraine without aura. The visual aura you get from just light exposure may or may not manifest for you as pain or a painful sensitivity. It may just present as irritating. But it’s also a sign that the migraine phases have started. So when exposure to light actually initiates the migraine episode, it can lead to the next phase of a migraine which is a visual aura. 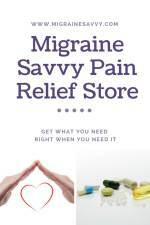 You can read more about that here - Stages of Migraine: Prodrome, Aura, Head pain, Recovery. Now this is important… the experts stress not to avoid light. TheraSpecs precision-tinted glasses are one of your options available to help alleviate painful photophobia without compounding this risk. Here’s a more detailed explanation of migraine-related light sensitivity – Migraine Light Sensitivity: How To Reduce It. It can manifest in other ways too, so be aware of those after images, trailing floaters, diminished night vision, and tinnitus... blurred vision and headache! Your blurred vision and headache would fall into this category as well. Blepharitis is a long-term (chronic) condition. It is, by definition, inflammation of the eyelid and is not a sight-threatening problem. But it can result in decreased vision, which can come and go. The symptoms of chronic blepharitis tend to come and go as well. 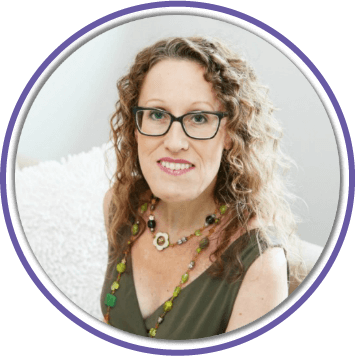 You may have periods of remission (a pause in symptoms) followed by periods of exacerbations (a flare-up). It usually affects both eyes equally. 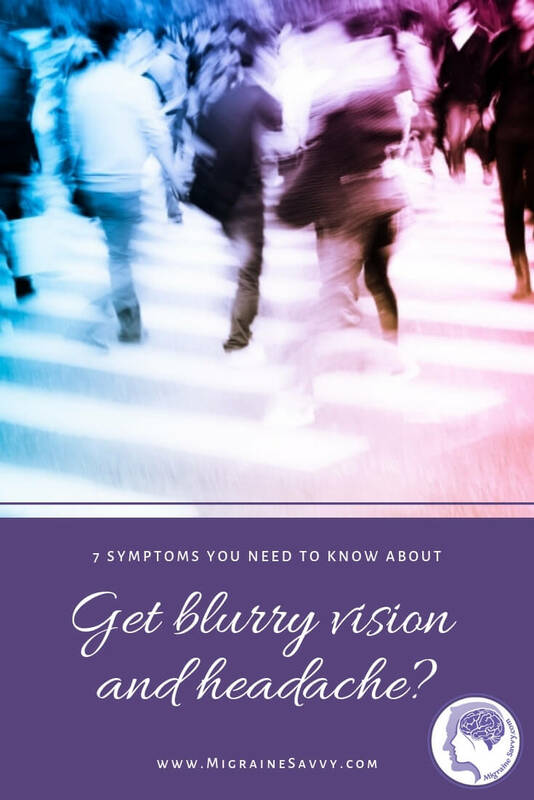 Make sure to discuss your blurred vision and headache with your doctor or specialist if you think your migraine or headaches may also be causing dry eye symptoms. There are numerous over-the-counter or prescription drops to help treat it. 3. Marzoli SB1, Criscuoli A2. 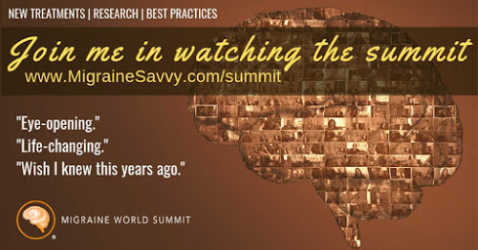 The role of visual system in migraine. Neurol Sci. 2017 May;38(Suppl 1):99-102. doi: 10.1007/s10072-017-2890-0. 4. Schankin CJ1, Maniyar FH, Sprenger T, Chou DE, Eller M, Goadsby PJ. 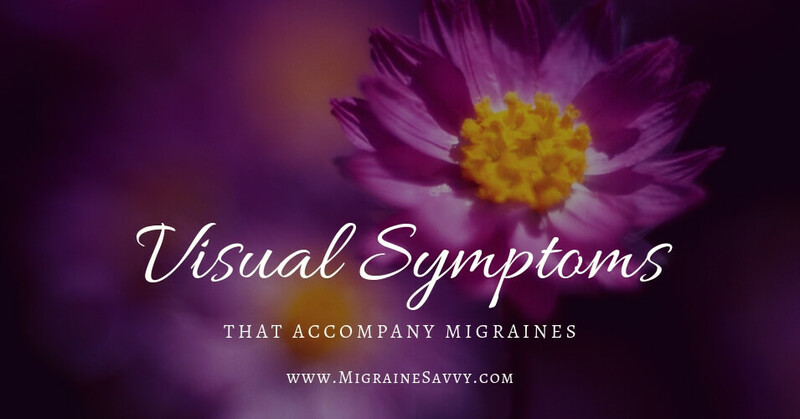 The relation between migraine, typical migraine aura and "visual snow". Headache. 2014 Jun;54(6):957-66. doi: 10.1111/head.12378. Epub 2014 May 9.